IslamRF.ru: Do our children have the right not to study Orthodoxy? Do our children have the right not to study Orthodoxy? We talk to the head of the Education and Scholar Department of the Religious Board of Muslims for the Nizhny Novgorod Region Abdulbari-khazrat Mouslimov about this and other burning issues concerning further development of Muslim ummah in Russia. — This July you have graduated from Bashkortostan State University and thus received a degree in secular sciences. Being a religious man, an imam, a teacher of religious disciplines in Nizhny Novgorod madrasah Mahinur what do you need your philological education for? — I believe that a religious leader absolutely has to be a person of widest knowledge including secular issues. Any public person has to. Since our country is so multicultural and multiethnic it takes being an expert in cultural and religious aspects in all their minutest details to be regarded as a professional and skilful manager. We have several examples of such approach among our great Tatar ancestors. Take Ahmet-Zaki Validi for example. He was an outstanding historian, expert on Oriental and Turkic sciences, and a publicist born in a religious Muslim family and received his primary education in a madrasah. His father taught him Arabic and his mother — Persian. He then studied Oriental languages in Kazan university and taught Turkic history and history of Arabic and Turkic literature in Kazan madrasah Kasymiya. He later said that to be a professional and to reach a certain goal one has to graduate from at least two universities providing education in absolutely different fields and better still if they are universities in different countries which would give a person a chance to get to know different worldviews. There are other examples among Tatar intellectuals who first received religious education and then proceeded on to secular disciplines to return to religious affairs afterwards — Riza Fakhretdin, Shihabutdin Mardjani, Salavat Yulayev, Mukhametsalim Humetbayev, for instance. Any public figure should be a harmoniously developed personality in the first place. A secular scientist studying religious affairs and vice versa is a great benefit for the society, I think. — Abdulbari-khazrat, you have been teaching in Nizhny Novgorod madrasah Mahinur for over 5 years now and have been imam-khatyb of the Cathedral mosque here for several years as well. Being a Bashkir do you find it difficult to get along with local ummah which is predominantly Tatar? — Bashkortostan is quite a multicultural republic. Bashkirs have neighboured with Russians, Tatars and other peoples for centuries that’s why it couldn’t possibly be challenging for me to get along with Tatars especially given the fact that they are our brothers in faith. I had Tatars among my fellow-students in Bashkortostan and Saudi Arabia, I have many Tatar friends and so I’m quite familiar with the Tatar language and culture. The Nizhny Novgorod Tatars make a perfect surrounding for any Muslim to feel comfortable at. They treat their neighbours, other residents of the city and especially other Muslims with great respect. Furthermore they are fortunate to maintain the spiritual legacy of their great ancestors — alims and imams. By the way several Nizhny Novgorod Tatars contributed greatly to retaining and consolidating Islam on the territory of contemporary Bashkortostan. Among them I should in the first place name the third mufti of Muslim Religious Assembly in Orenburg and imam of the first mosque in the capital of Bashkortostan Ufa Gabdelwahid Souleymanov. His son Sharafutdin served as imam of the mosque in Ufa as well and was succeeded by Hairullah Usmanov, also coming from the Nizhny Novgorod region. But actually we are all equal to Allah the Almighty who knows not either time or borders. Islam stipulates no difference between the people of various nationalities. Every people with its language and peculiar culture were created by Allah presuming that all of us should have respect for other peoples. It is said in the Holy Koran: “We have created you from a male and female, and have made you nations and tribes that you may know one another. Verily! The noblest among you in the sight of Allah is the most God-fearing”. — Kurultay deputies of Bashkortostan and president of the Republic Murtaza Rakhimov have openly opposed the tuition of Orthodox culture in schools saying this initiative would breach the secularity principle of the Constitution. The high profile response it won in Russia means that people here take much interest in this issue. What is your opinion as a teacher upon tuition of such subject in state schools? — I think that this initiative requires more delicate solutions than it was originally presupposed. Such subject could be introduced in public schools only on terms of an elective course by approbation of the students and their parents. And the subject absolutely has to concern several religions, not only Orthodoxy. Otherwise it is sure to become a source of psychological traumas since in our schools Christians, Muslims, Jews and adherents of other faiths study together and all the non-Christians will be forced to give up their principles. Another important thing here is that a teacher of the history of world religions has to be a secular expert on religious issues. Some secular universities open theological faculties and this would make a perfect occupation for their graduates. At the very same time thus we’d avoid breaching the Constitution. At least it would be fair compared to what we presently have. The tuition of Orthodox culture is still a question open for discussion yet in several Russian regions — like in Tambov, Kaliningrad, Tula, Yekaterinburg, Kaluga, Kursk and some others — this subject is already launched into state schools. In September it will be started in Gagino village in the Nizhny Novgorod region, taught by the archpriest of one of the local Orthodox churches. And it is announced publicly though the Federal law hasn’t been passed yet. Is it fair? Would it be fair to make Bashkir and Tatar students that make 30 and 24% of the population of the Republic study this subject? I doubt it. And it’s obvious for any person in sound mind no matter the religious credo. — And what is your opinion upon tuition of chaplains in the army also initiated by the Russian Orthodox Church? — I believe that this initiative was meant to put the army in order, to secure a healthier environment there. And in this respect it is worth highest appraisal. But we can’t afford to make hasty steps here, promptly approved bills can only worsen the problems in our army. It is simply not ready to change its infrastructure to host chaplains. What if we do have chaplains in the army? If there is at least one Muslim draftee in the quarter there will have to be a mullah and if the quarter is remote then his family as well. If they choose to follow all the prescriptions of Islam in the army they would have to provide Muslim draftees with halal food, a place to offer up prayers, an opportunity to make ablution and visit Cathedral mosque on Fridays. Actually these are the basic things secured by the Constitution that stipulates free practice of religion among other freedoms and it’s a constitutional outrage they’re not carried out today. And if the chaplains are introduced into the army and some quarters don’t have mullahs — no matter the reason, for example there simply aren’t enough of them — it would mean breaching one more Constitutional article. — To my mind the negative perception of this holy country was formed by Muslim leaders of some national Republics and I honestly don’t understand their point especially given the fact that they themselves studied there and their own children and grandchildren study there nowadays or receive donations for building mosques and madrasahs there. As a matter of fact the notorious wahhabism is widely proliferated not only in Saudi Arabia but also in its neighbouring countries — in Kuwait, and other countries of the Persian Gulf. Personally I am just grateful to the state of Saudi Arabia that rendered financial aid to re-establish local madrasah when there was no one else to help. Besides madrasah Nur al-Islam I studied at in Bashkortostan was also financed by one of Saudi charity organizations. These madrasahs have given several hundreds of religious figures to Russian Islam that serve Islamic morals for the sake of our motherland nowadays. Russia has recently become an observer state in the Organization Islamic Conference, our president Vladimir Putin visits Arabic countries, frequently meets the Saudi King Abdullah bin Abdul Aziz meaning that Russia is very much interested in establishing long-term contacts with the Islamic world and with Saudi Arabia in particular. Saudi Arabia is our strategic partner and it’s even silly to pin accusations upon it without ground. After all the holy land of Mecca gathers us yearly for hajj. — One of the timeliest problems Russian Muslims have is believed to be the lack of undivided authority. 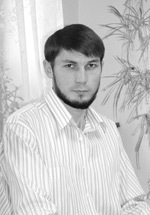 For example in Ufa there are three muftis at a time. Do you think it hampers the development of Muslim ummah in the country? — The Central Religious Board of Muslims has a particular status in comparison with the rest of organizations. Numerous religious organizations have appeared as a result of instability of the 1990s. But a lot has changed for the past 15 years and thereupon some things should now be reconsidered. The Republic of Bashkortostan is only one of the examples of the lack of one-man management. I think that it won’t take long until Russian Muslims come to realise we need one mufti. We have only one God, one president, we should have one mufti. It would stop everlasting competition artificially inspired by someone who benefits from it. As a result it would put an end to fatal dissociation among Muslims and ensure that all the problems we have talked about — like tuition of Orthodox culture in schools and chaplains in the army — be solved in favour of Muslims.